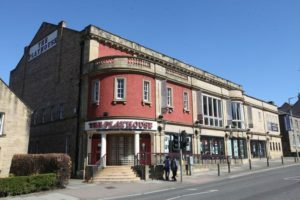 Northern Bear Building Services has been employed as main contractor and works have now begun on the refurbishment project at Alnwick Playhouse. The major project, which has been described as a once-in-a-lifetime opportunity, and will require the much loved arts venue to be closed for almost a year. The Playhouse building is co-owned by Northumberland Theatre Company and Alnwick District Playhouse Trust. Over the years, despite best efforts, the building has deteriorated into a state where it requires a large capital investment to bring it back to good working order, something hard to achieve for two small charities. The Playhouse will retain its primary role as a theatre and cinema while the library and tourist information centre will occupy other parts of the building. As part of the agreement, the Playhouse will also be raising nearly £800,000 to finance a new food and drink area, new auditorium seating, a new get-in lift, studio adaptations and refurbishment throughout. This would not have been possible without the significant investment from the county council which will ensure that the building is water-tight, with new electrics and new heating installed.